What Is Your First Saturn Return? What is a Saturn return? It is when transiting Saturn comes back to meet your natal Saturn. Your natal Saturn is the astrology sign and degree Saturn was in at the time of your birth. 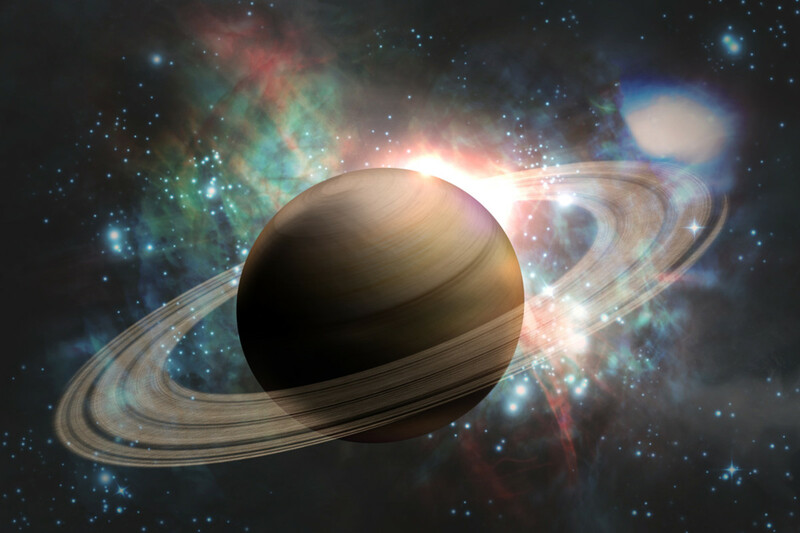 It takes approximately 27-30 years for Saturn to make the trek around the solar system and through all 12 astrology signs, and these movements of planets are referred to as transits. So for example, pretend that Saturn was in 15 degrees of Scorpio at your birth time. Around 27-30 years down the road, Saturn is approaching your natal Saturn, the 15 degrees of Scorpio mark again. That is your first Saturn return, my friend. It is time to grow up. Issues ruled by Saturn have to do with time and karma, the Metaphysical law of Cause and Effect. Astrologically speaking, the Saturn return is one of the most misunderstood and dreaded points in our development. So this is serious, a time of pressure and stress, other words that come to mind when the planet Saturn is involved. There will be endings in some areas of life, tough issues will have to be faced, and you will feel overwhelmed. But opportunities come with decisions and choices, and sometimes our perceptions of ourselves are outdated anyway. The good part is that you can now find a deliberate sense of purpose about who you are now, and where you want to go in the future. You get a chance to reinvent yourself! The first Saturn return is a wake-up call. If you spent your twenties partying through college for seven years, never majoring in a subject or graduating, never had a real job, or dated a string of unsuitable, yet great people during those years, you most likely had lots of fun. But it was not the most responsible way to use your time. So your first Saturn return is going to turn your life upside down, and you will find that your current life circumstances force you to get responsible and mature. The party is over, and it’s time to pick a path. Often the path will be picked for you, depending on the karmic lesson you need to learn. When I was 27 years old, my Father unexpectedly passed on. Our family was unaware that he had a pressing health issue, and they lived in an isolated town far from me. Had I come from a large family, my everyday life would not have been affected as much once I had a chance to accept this loss. My Mother was an old-fashioned 1950’s Mom who never worked outside the home, did not drive, and was totally grief-stricken. But we were very close and it was so difficult to see how devastated she was. My brother was a teenager, but he was not old enough to drive either. I was living in a chaotic and stressful situation where I was trying to keep my own commitments, but also many of theirs, and in general doing lots of hand holding. I faced all this added responsibility in spite of my own sorrow at losing my Dad. I was married for three years, running my own household, worked full time, and went to college two nights a week. It took me a long time and all my weekends to teach Mom and my brother to drive, and to get them standing on their own two feet. But they did, and I was so proud of them. It occurred to me that I almost had to step into a Fatherly role to fill the void in the family. But planet Saturn does represent the Father in Astrology. I was always a responsible person, and it did not seem like I deserved these added burdens at a painful time in my life too. But Saturn is a karmic planet, so what lesson did I need to learn? The sudden loss and added responsibility forced me to understand that I should never take any person I loved for granted, because one day they could suddenly be gone. Until this day, I end many phone calls with “I love you”, just in case. Difficult, painful situations like these are why people worry about their Saturn returns. They come about more than one time in your life, every 27-30 years. So you will experience a second one when you are around 57-60, and if you live a long and healthy life, 87-90. Young people sometimes make important choices before they are really ready. When they approach age 30, they realize these choices are way out of kilter with what they really want at this point in life. This is often an age where people make a major career choice, get divorced, or do something that seems completely out of character for them. But decisions made in youth are not always fulfilling when one becomes more mature. Of course, if a relationship is a fated one (quite possible in this case) it will still be a serious one that outlives any difficult problems. Saturn brings you face to face with your fears, and can really shake you down to the core of your foundation. You will become aware of your own mortality for the first time, as I did. You must take stock of your life and begin to focus on a plan to achieve your current goals. But Saturn gives you the order, discipline, and sensible attitude to get back on track. Or now you reach the crossroads that finally shows you the path that you need to be on to reach your potentials. What is really taking place here is a period of readjustment and reevaluation. We get a more creative sense of who we really are. So these Saturn return times make it painfully clear what you have or have not been doing during those 28-30 year periods. Although people dread these returns, there are always ones who were always pragmatic and sensible, and their passage through this period will just make all their good choices more rewarded, their relationships more solid. I like to call these people “old souls.” We all know them. Even when they are really young, they always seem centered and calm beyond their years. This new sense of individuality is the result of our experiences of the first approximately 27-29 years of our lives. Saturn goes “retrograde”, a period where it appears to be moving backwards through the sky, and through the astrology signs, so this accounts for the variation of the 27-30 years. Planets never move backwards, it is merely an appearance. It is worth mentioning that Saturn is not causing these things to happen. We are the architects of our own lives, and determine our own fates through free will. Saturn cycles just show us what lessons must be learned as a result of our individual maturing process. It is your own choice to decide what you can live with, and what you can do without. Our second Saturn return occurs around the ages of 57-60, when once again we choose how we want to live our lives, in the period which we think is most likely the rest of our lives. Now we have learned to work through old limitations, fears, responsibilities, and rules. We ponder whether we want to stop behaving in ways that are not fulfilling us. Now we view our lives through the lens of about 30 years of adult life. Most of us have matured, but there is still a minority of people who are still immature and irresponsible. This second Saturn return will be the hardest on them. The rest are considering what higher purpose life has in store for them, or maybe trying to deal with physical and emotional lessons that are hard. This second return is normally about mental, religious, social, biological, and spiritual aspects of life. We react against limitations which maturity or social customs have imposed upon us. This time our protests are often against sexual or emotional components of life, and how they are changing. There is also an ego protest going on against cultural and religious traditions, and in fact at this Saturn return people often suffer a crisis of religion. Once a person becomes almost 60, they have lost many loved ones who have passed on, suffered greatly, or just grew apart from each other, and it may be very difficult to reconcile this with their past religious beliefs. So it can be a time of searching for a “new” truth. But for the ones who have been living life and meeting their responsibilities, this Saturn return can be a time of trying out new projects or plans, a time where there is finally more time to pursue interests. When I was 58, the same age as my husband, he suddenly passed on, unwilling to face his health issues. So he apparently fulfilled his mission for this incarnation, and I have not yet. I’m reading and counseling people with intuitive, healing readings, so I think that’s the direction I am meant to take. And apparently I am supposed to learn to live independently, without him, the hardest part, since we were together for 39 years. I've had to decide who I am without him, since I met him and fell in love with him at age 19. It's been 3 years, and I still feel like I have been cut in half. My son has also undergone serious career changes during his first Saturn Return. I am sure he will come out of his first Saturn return in tact, this change of direction happened right during my second Saturn return! He has learned in a very hard way that although he worked hard and had two careers. he was pursuing them for the wrong reasons and was unhappy. He was pleasing other people, at the expense of his own life plan. Not to mention his Father died during this period. Saturn's Karmic lessons are very difficult, and you need all your strength to get through them. People also tend to need to guard their health more as they approach 57-60, so visits to the gym and other exercise regimens often become important. Life finally slows down a little, and it becomes time to make sure we feel well enough to do what is most important to us at this stage. It is also a time of fulfillment as far as higher consciousness, and our minds can understand the essence and meanings of our experiences better than before. We look at life with a greater sense of detachment and drama, and some opportunities can present liberation from the past now. The aging process in our time is studied religiously by researchers and sociologists. It is apparent that people who are currently in the 57-60 age brackets go to great lengths to look as young as possible. Appearing “old” often forces people into premature retirement in our modern social and youth obsessed society. Or some careers depend on looking youthful, so people resort to plastic surgery, medications so they have no wrinkles, and hair coloring so their gray does not show. If you put on the TV most news people can barely move their mouths or have expressions on their faces! I admit to covering up a few gray hairs I have with my natural reddish-blonde shade, and to trying out different make-up to keep up a younger or at least, not an “old” appearance. This weekend I was offered the "senior discount" when I was out for dinner, and took it very hard! People often tell me I look at least 10 years younger than I am. On the up side, I feel more confident about speaking my truth, and find I do not really care too much about what others think of me as long as I feel good about myself. When the third Saturn return is set into motion at around 87-90, forces are put into motion which can lead to the possibility of entering a fulfilling time. Of course, each person will experience different things according to how they develop individually. If the person is willful and still has a clear and open mind, they will experience an even deeper sense of detachment from whatever the ego has clung to and striven to possess. A further process of biological deterioration or impairment of bodily functions is to be expected now. The memory patterns of everyday happenings cause a lessening of attention to everyday problems or to personal relationships. This period can also cause a wider social acceptance of what the individual has tried to accomplish during their life, and cause a transformation at a social, religious, or mystical level. Others may learn much if they listen to the prophetic vision of the elder person. Our society does not often respect elders as other cultures do, and they are often left alone or lonely by their children and grandchildren. This may be because families do not stay physically close together anymore, but also grow away in spirit. The problems of old age have become increasingly important in the U.S., where the proportion of older to younger people is very large. In one way, this forces an older person in better health to remain more active in creative projects. It is proven that elderly people who keep up their interests and make plans to keep busy enjoy much better health. They also have much life experience and can make excellent mentors to younger generations of people. We are all acutely aware of Saturn’s limitations of old age. But even if we must accept them at the physical level, we can at least fight them with our minds and spirits! As one reaches 90, they may experience clarity of vision and have transcendent inner realizations that can supply them with a large harvest of wisdom. After all, the whole Saturn return experience is about reaping what we have sown. Revelations about the workings of the Universe and how it relates to one as a person could not have been understood in the bloom of youth. Now the person has glimpses of the Universe as it relates to them, which goes beyond Saturn’s limitations. It can be possible to live out our final years loved and respected by our families, and in fulfillment, peace and beauty. What will be the results of Saturn's return in sign of Aries? Saturn is the karmic or teacher planet. Normally wherever it shows up in our astrology birth chart is an area where we will have limitations and delays in our lives. I would need to know the house it's in for that. Saturn in Aries means the lessons you will need to learn are initiative, patience, and self-reliance in providing the necessary things in life. By the obligation of having to use your own wits and resources, you will develop your will and strength of character. Aries causes people to act without thinking or planning enough, and Saturn brings the consequences of that. It's hard for you to see yourself as others see you. You are usually initiating new cycles of experience, without taking time to consider where that will lead. You can tend to be selfish and trample on the rights of others. You are resourceful though and often think of new ways to accomplish tasks. You are mentally creative. So it seems you have talent, but depend too much on others for what you have. Those days will end soon, my friend, and you will have to rely on yourself to get whatever it is you need. Aries is the sign of immaturity, so your lesson will make you grow up fast. Is this your first Saturn return? They occur approximately every 30 years, so if it is, it can happen from ages 27-30, as Saturn's course is elliptical. Saturn returns are never easy. They cause chaos in our lives. If you have been responsible, that will help, but if you haven't matured and worked hard to be an adult, the first Saturn return will bite. Many of us lose parents or loved ones through death, teaching us to show appreciation for those we love at every chance we get. If you haven't worked hard, something will happen to make your financial future very insecure, and you will be working hard fast. I don't want to scare you, but Saturn returns bring very serious life lessons, so pay attention. And if you don't do well with this one, the 2nd one at ages 57-60 will be harder. 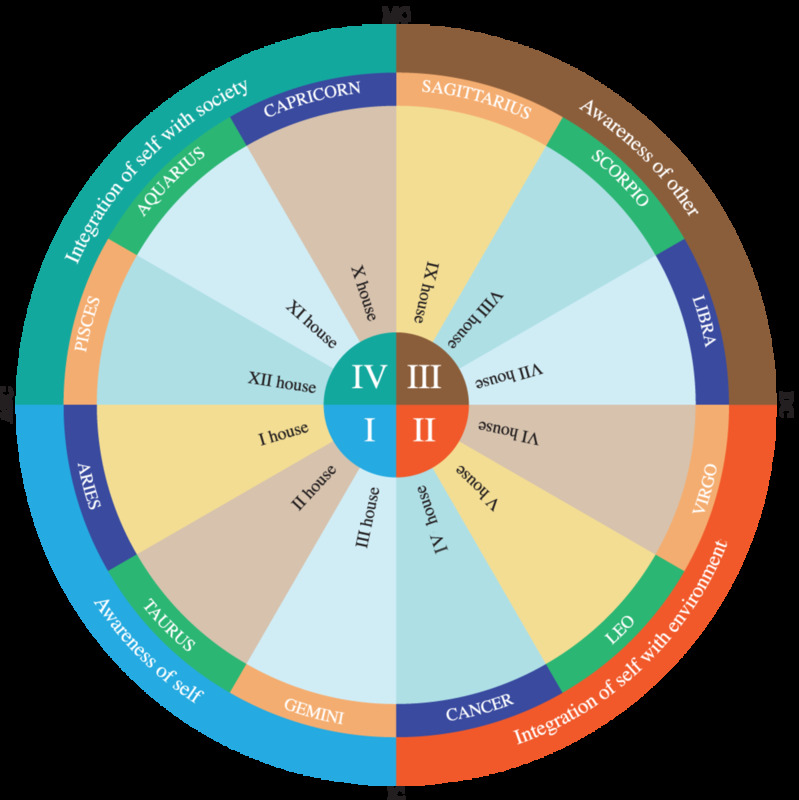 I can't predict exactly what will happen without a whole Natal Birth chart. very interesting.... I am in my 2nd faze. still a lot of things going wrong for me but who knows . I am still hoping ..for the best. It's good to see you. I hope your next Saturn return is a good one. By the time the 2nd one arrives, you have been an adult for 30 yrs., so things in your life that no longer serve you may have to go, and you could experience spiritual changes. My husband died at the beginning of my 2nd Saturn return, and as if that wasn't enough, my son is in court with a crazy women facing false charges that are very serious. If I get through this sane, I'll believe I can do anything. Best Wishes. Very useful for those who appreciate astrology. I still have two Saturn returns left ahead. Apparently lots of things happen during this period but it can be interesting. Yes, Saturn is the planet of karmic lessons. The Saturn returns aren't always bad, so I don't want to scare everyone. But you usually do have a period where everything goes wrong, or you have more to deal with than usual. I hope yours goes well. Thanks for writing in. Take care. Interesting. I never knew this is the way Saturn works on our life.